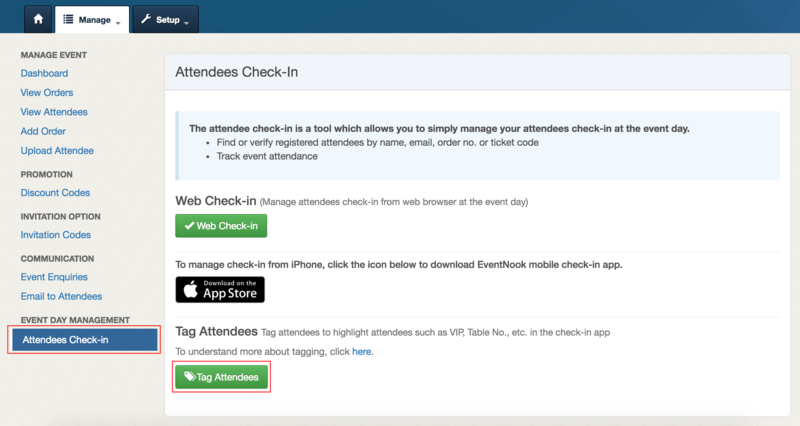 Tagging attendees feature is one of the useful feature for managing guests to check-in at the event day. It allows event team to see highlighted information of each attendee such as VIP, Table No., GroupID, etc.. 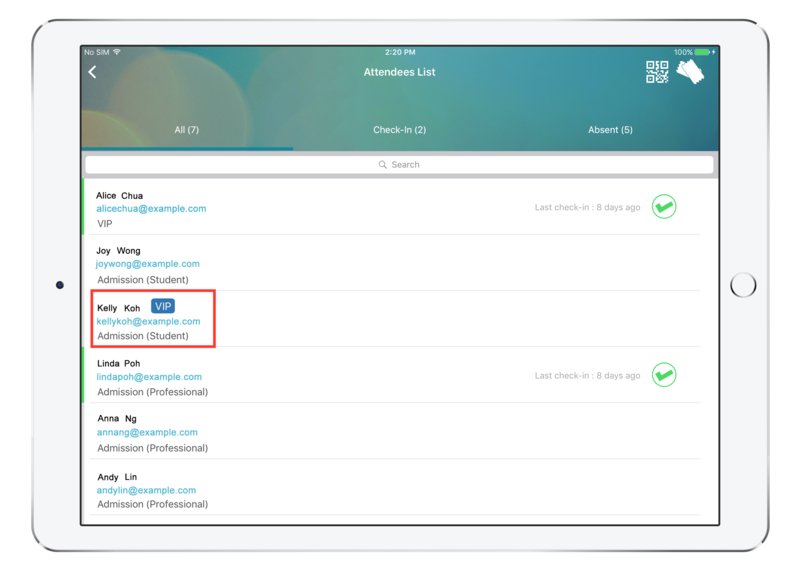 The tagged information is displayed in eventnook check-in app - web check-in, iPhone and iPad check-in apps. This feature is available for Professional plan customers and above. In some events like corporate business event, there may be VIP guests which you need to highlight them to your team who are checking in guests at the registration counter. When a VIP checks in, you can let your team know it's time to roll out the red carpet (like having the CEO personally greet the VIP guest with a glass of champagne). Also, you could tag attendees like press, clients, hot prospects, and so on. EventNook enables you to manage attendee tables and seating number without the hassle of confusing the numerous seats. If you use the tagging feature to assign attendees to seats, the event staff can direct the guests to the assigned tables and seats at the check-in counter. If you are organising sport events like marathon, you may need to manage race pack collection. When handing out race packs, it is now possible for staff to offer items (T-shirts, visors, equipment, etc.) in multiple sizes or colours without confusion. In the backend you can tag the T-shirt size, by doing so your staff can have a clear insight on the send and become more efficient. Here you can follow these few instructions to managing tagging. Open "My Event", find the event you want and click on "View Dashboard". Click on the "Attendees Check-in" option at the bottom-left corner and find the last option “Tagging Attendees”, then press the button. Finish tagging the attendee(s). In this example, the attendee, Kelly Koh, has already been tagged as VIP.